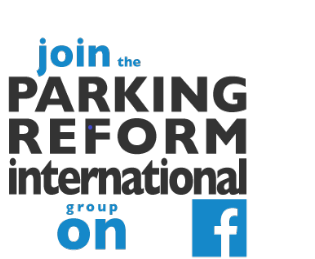 I have set up a Facebook Group: "Parking Reform International". If you are on Facebook, please go join the group and join in the discussions! Parking Reform International is a group for people interested in WORLDWIDE urban parking policy reform efforts. It is especially for those looking for alternatives to the conventional approach that fuels oversupply of cheap parking. Unfortunately, this approach dominates parking policy in most parts of the world. This group should complement The Shoupistas, which has similar aims but has a North American focus. It should also complement the Reinventing Parking page, which doesn't allow much interaction.